Time and time again, I was contemplating on what to entitle this post. 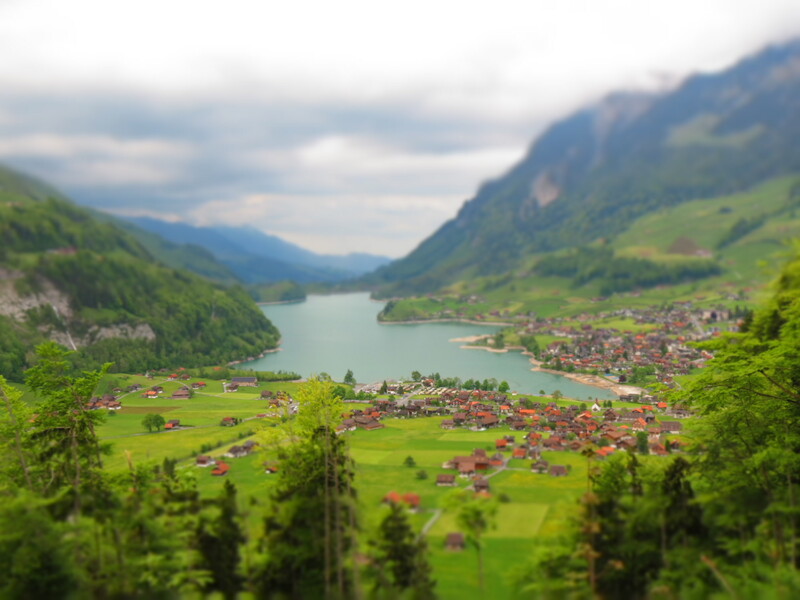 I put a lot of thought into it considering what an impression Switzerland made. Although some would say that this landlocked country is relatively in the heart of Europe geographically speaking, this isn’t the main reason why it is so named. I believe this country, otherwise known as Confoederatio Helvetica, should be considered as the heart of Europe because of its pure and true beauty, as well as its grandeur and magnificence. 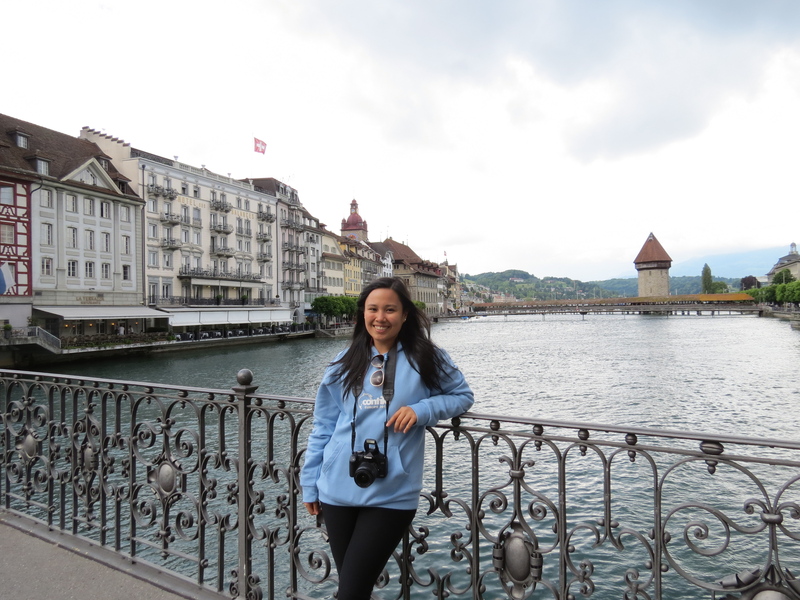 This post will be a bit heavier in text than usual, since Switzerland is my favorite country to date and the very first time I got a glimpse of the country is an experience that I believe is for the books. Ending our trip to Italy, we headed to Switzerland from Florence. It was a cold morning with a few droplets of rain here and there. 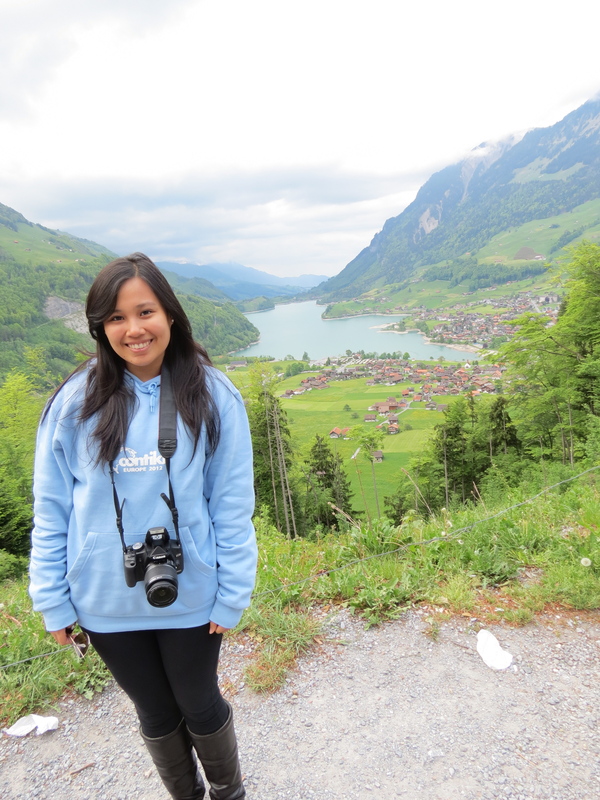 I was feeling a bit under the weather, so I decided to wear 2 extra layers of clothing under the Contiki hoodie I bought as our tour group’s souvenir. We were all ready for the 5-6 hour drive to Switzerland, even if almost everyone on the coach was sick. We couldn’t even go ten seconds without someone coughing. 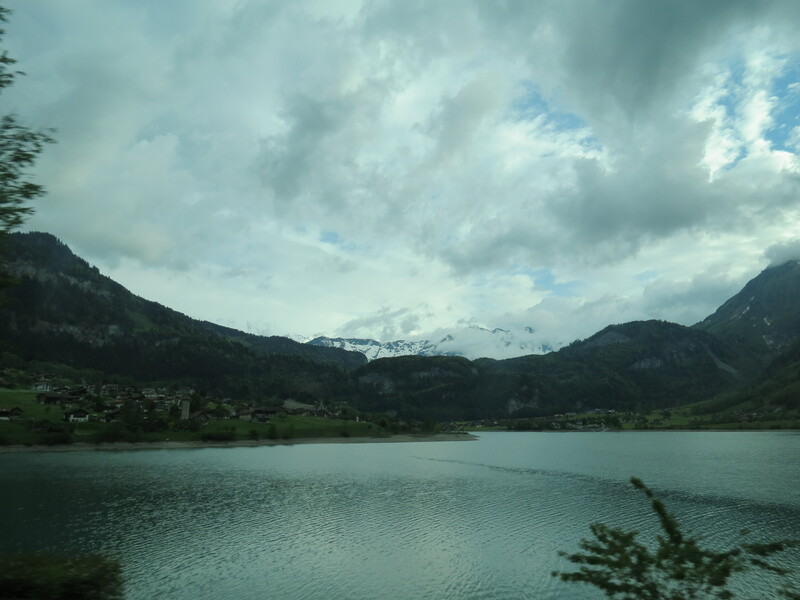 A few hours later, Sam, our tour manager spoke into the microphone saying that we were nearing the Swiss border. He informed us that it was a country with many tunnels cut through the mountains, since their air force had used these mountains as their bases. Before heading into the tunnel we were about to approach, Sam told us that whoever could hold their breath the whole time we were to drive in the tunnel would be given a bottle of wine. Of course, I tried. I held my breath for as long as I could and eventually failed. So did everyone.We were all awaiting to see the light at the end of the tunnel, but apparently, it wasn’t going to appear anytime soon. It was where the mountains met the sea and where the sun shone on both. Cotton clouds filled the blue sky, which made the landscape even more stunning. 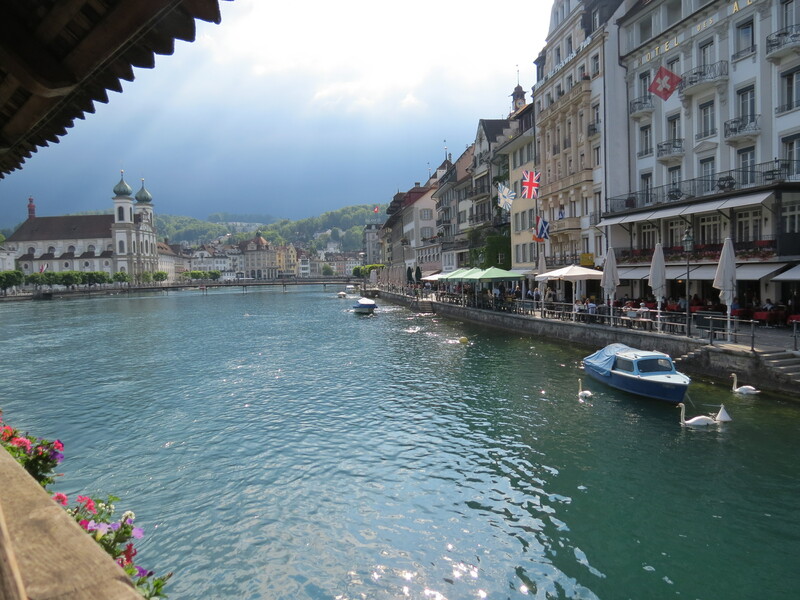 After about another hour or so, we arrived in Lucerne. 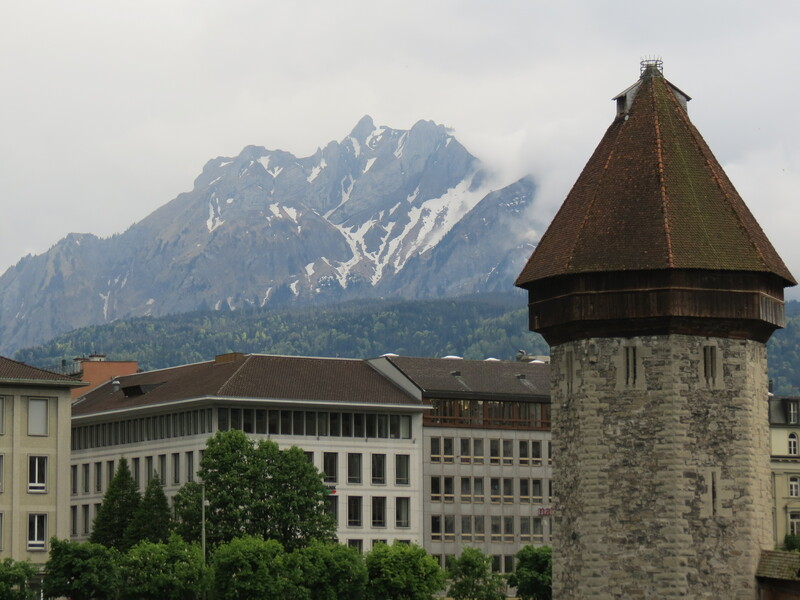 I immediately fell in love with Switzerland the moment we drove out of that tunnel, but seeing Lucerne all the more made realize that Switzerland might turn out to be my favorite country (which eventually did). We went to this knife and watch shop as a first stop and later went our own ways to discover more of the city. Everything was so quiet, so calm, so serene. All the buildings had pastel facades with its roofs uniformly-colored. It was as if everything had come from a painting. 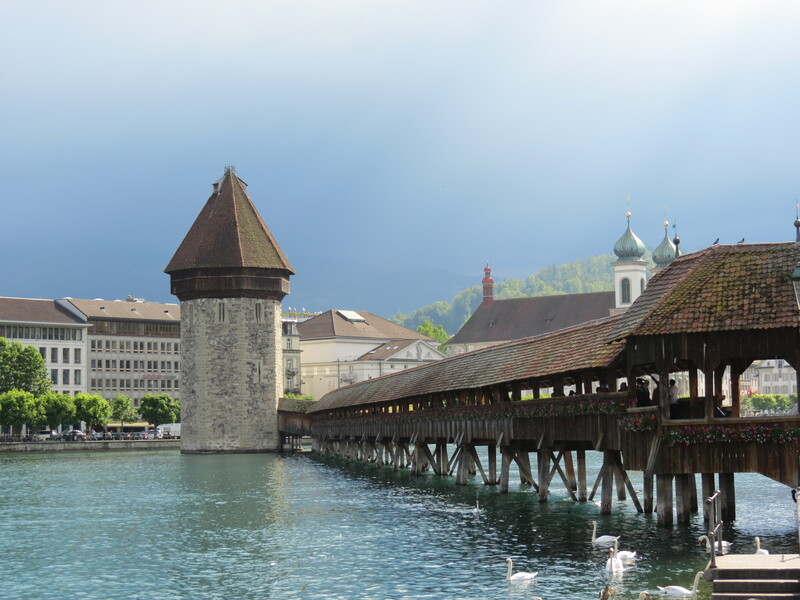 The oldest wooden bridge in Europe, standing in the town center ever since the early 1300s, stood out. 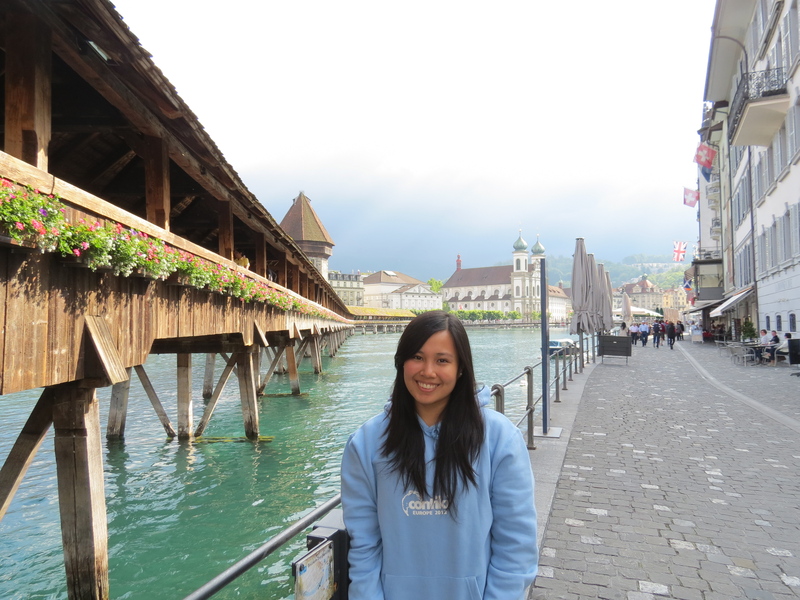 Being in the town center, it gave Lucerne such character that would make anyone just fall in love. After spending time walking through the streets and picking up a few pastries with my tour-mates, it was time to go. 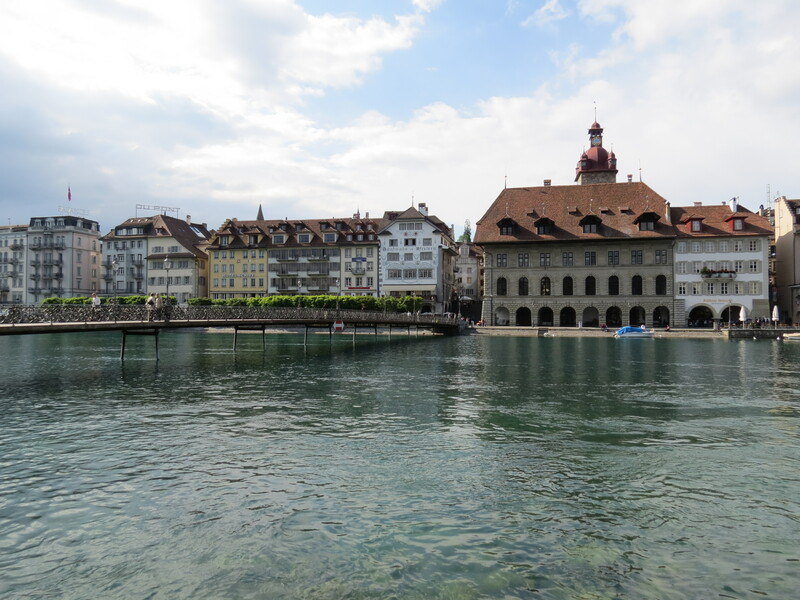 Although we had quite a rather quick stop in Lucerne, it was a city that truly did encapsulate the very definition of beauty for me. 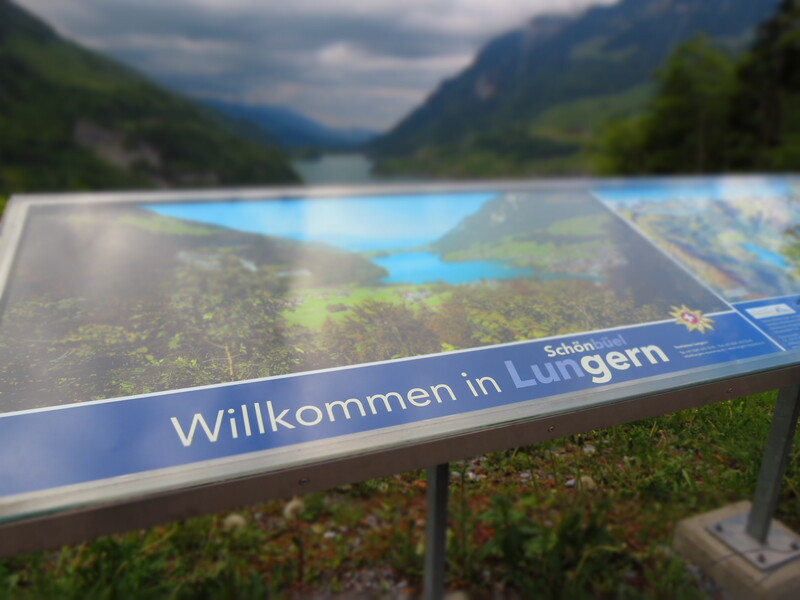 Before heading straight to Lauterbrunnen, we took one last stop in Obwalden, which overlooked Lake Lungern. 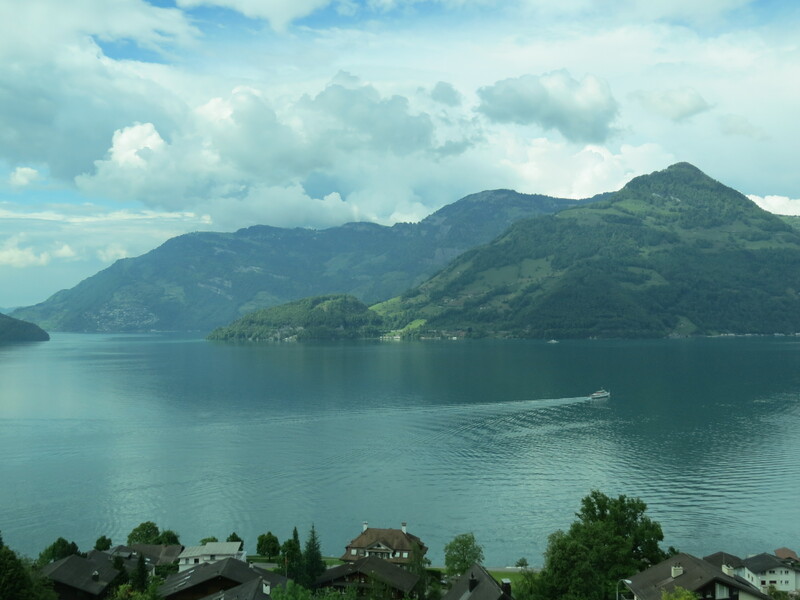 And just like everything else I’ve seen in Switzerland at that point, it was breath-taking.